Vredenburgite: Mineral information, data and localities. Named in 1909 by Lewis Leigh Fermor in honor of Ernest Watson Vredenburg [April 17, 1870 Boyonne [Bayonne], France - March 12, 1923 London, England, United Kingdom], a geologist and marine biologist with the Geological Survey of India. Shown to be oriented exsolution lamellae consisting of manganese-rich and/or zinc-rich oxide species. The original material from India consisted of hausmannite lamellae in jacobsite. Several mineral combinations of vredenburgite and vredenburgite-like exsolutions have been observed at Franklin, New Jersey, USA. Oriented exsolution lamellae of hetaerolite may occur in franklinite and are essentially the same mechanism of formation to the original combination: hausmannite in a spinel group mineral (jacobsite). At Franklin, there was an extension of the use of the term vredenburgite to include oriented exsolutions of manganosite in zincite. A homogeneous "metastable" material with a bulk composition similar to vredenburgite has been found at Langban, Sweden. Albite 6 photos of Vredenburgite associated with Albite on mindat.org. Manganese Oxides 6 photos of Vredenburgite associated with Manganese Oxides on mindat.org. Muscovite 5 photos of Vredenburgite associated with Muscovite on mindat.org. Calcite 4 photos of Vredenburgite associated with Calcite on mindat.org. Mason, Brian (1946): Geologiska Forehnstock For handlingar, 68, p. 51. S. P. Deshpande (1959): Ore-Microscopic Studies of the Manganese Ore-Minerals of Old M.P. I. Dongribuzurg, Bhandara District, Proceedings of the Indian Academy of Sciences, Section A, 49 (3), 165-173. 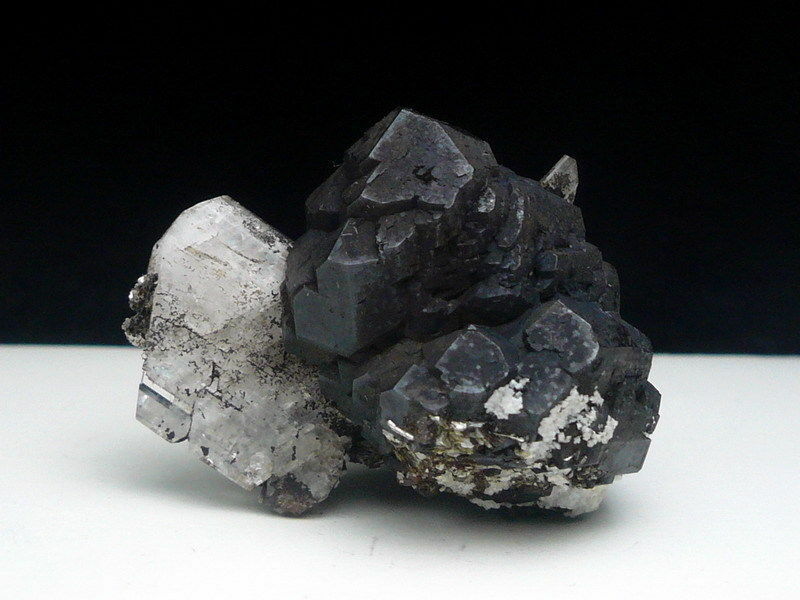 Roy, Subimal Sinha (1968): Vredenburgite from the Peroxide Manganese Ores of Dongri Buzurg, Mahahrashtra, India,Mineralogical Magazine 36, 1034-1036. Mason, Brian (1946), Geologiska Forehnstock For handlingar, v 68, p. 51.